I have a LOT of envelopes. Seriously. Drawers Full. And still half the time, I've made a card that just WON'T FIT or is dwarfed by the envelope. Solution: Make envelopes. Well, okay. But.... (confession here), I really don't have the patience for that really cool envelope maker that I have stashed away. I just can't figure out how to make envelopes with it that work for my cards. 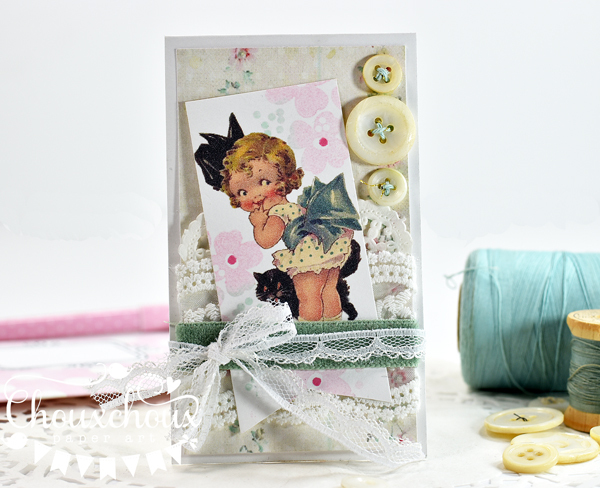 The video shows how to make easy envelopes for small, large and shaped cards. I use my score pad, but you could use a straight edge and a bone folder to make the scores. 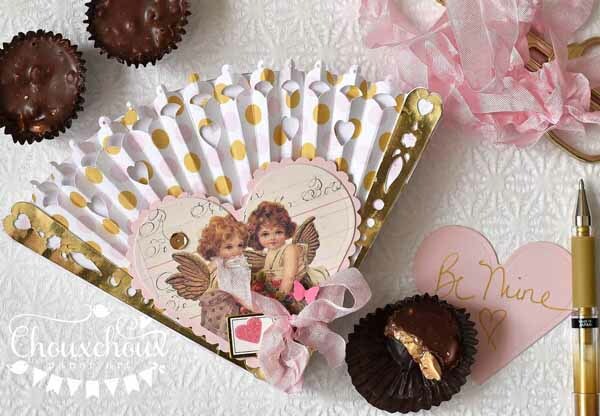 One fun thing to make with this method is gift card holders. 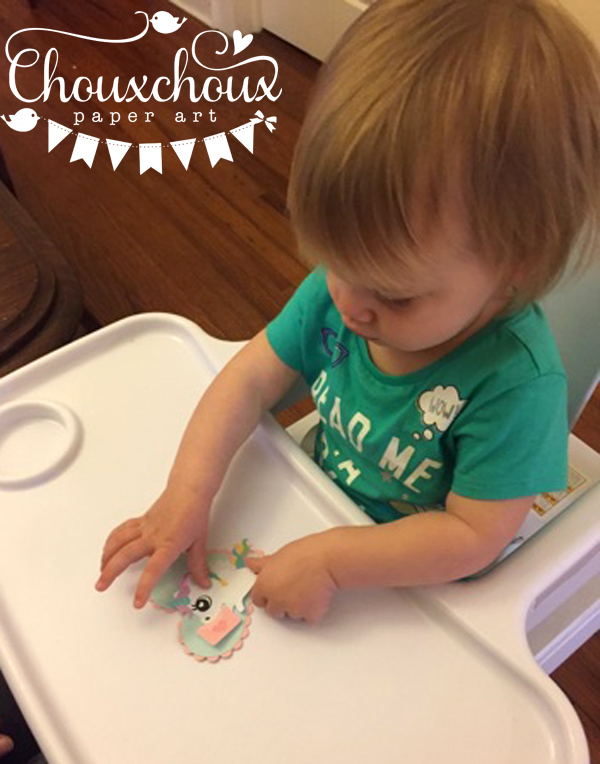 We love books in our family, so this gift card holder has a Barnes and Noble gift card. And see that little cat reading? Adorable! The kitty with the party hat is stamped on sticker paper. It will be the seal for the back of the gift card holder. This card is long enough for some envelopes I have, but it's too skinny. So, a custom envelope it is. This is another of my Agnes Richardson images. I just love the sweet little girl and the black kitty. You can download her below. 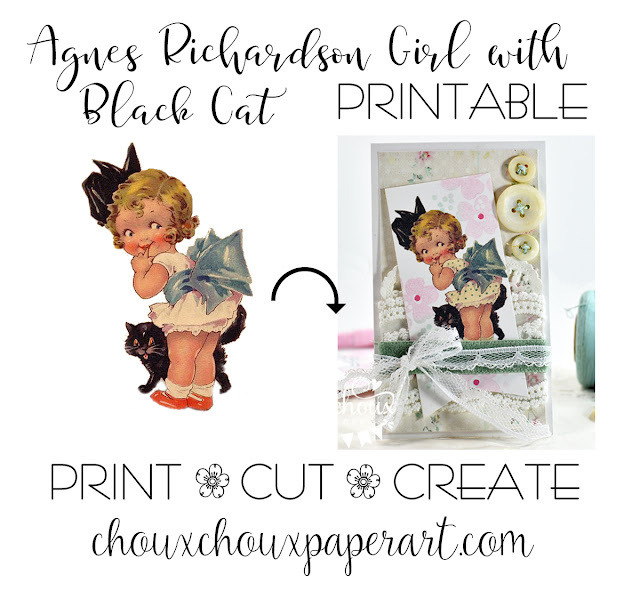 Download Agnes Richardson Girl with Black Cat HERE. Louisa made valentines when I was there last week. We didn't make them until February 15th, but oh well... 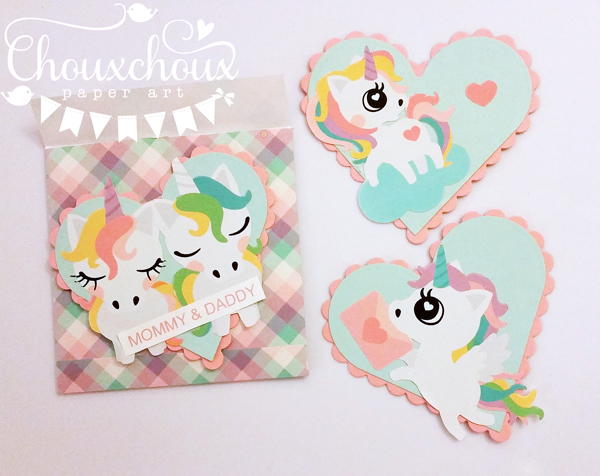 I die cut some hearts and then printed unicorns on sticker paper. I peeled the stickers for her and handed them to her. She really did a good job and had a lot of fun. She made 6, which was just about right for a 15 month old. I rubbed some baking soda on the back parts of the unicorn stickers that stuck out over the hearts to keep them from sticking to anything. You can see I also made envelopes the same way as I show in the video. So, go ahead and make those small, large and shaped cards. Envelope? I've got you covered. Valentines. Angels. They certainly go together. These old valentines are so pretty. I used these angels a couple of years ago on top of a fan-shaped candy box. You can see that I basically cased myself to create this card. I love the box, so why not a card? The download has the angels on white and also on gorgeous old ledger paper. 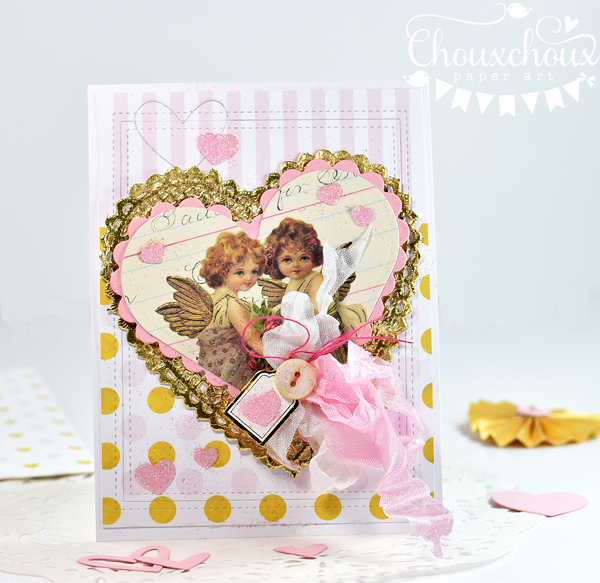 And if you love that heart rosette (isn't the gold and pink glitter so pretty? ), I have a video from a couple of years ago on how to make them. The little bon bon box is also from that time. You can see more about it HERE. 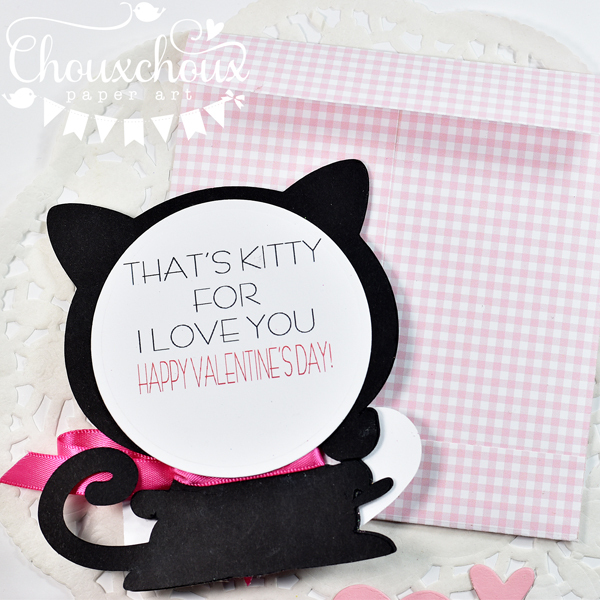 You may remember me talking about how Louisa loves to "RAWR" and that I made THIS Valentine card for her. Well, she also loves to "MEOW!" When she's here, she meows at the top of her lungs and follows kitty around saying "Hi, Kitty!" When she saw me a couple of weeks ago, she asked, "Kitty? Kitty?" I had to tell her No, that Kitty did not come with me, that he had to stay home. 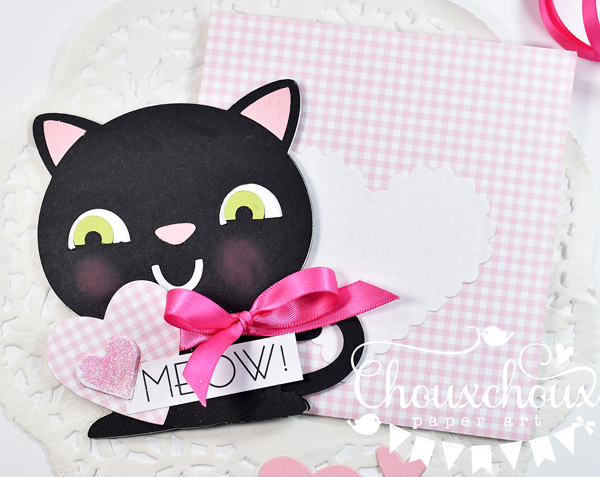 So, I made this sweet black kitty valentine for my mom and dad to give to Louisa. 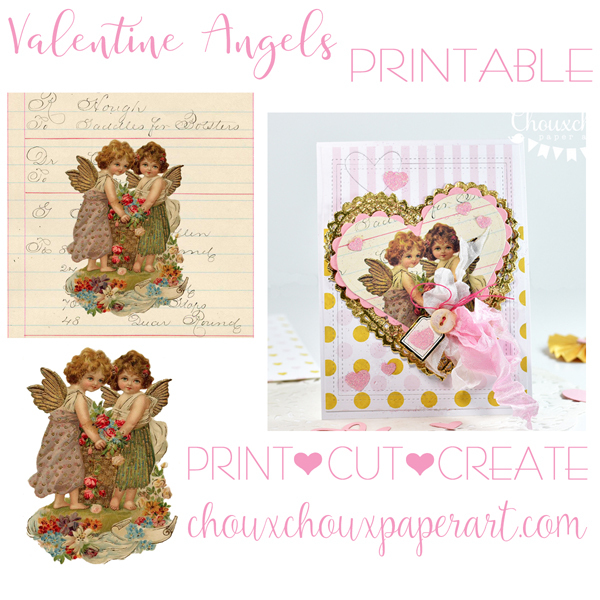 You can download the Valentine Angels HERE. Heart Day is coming up soon. 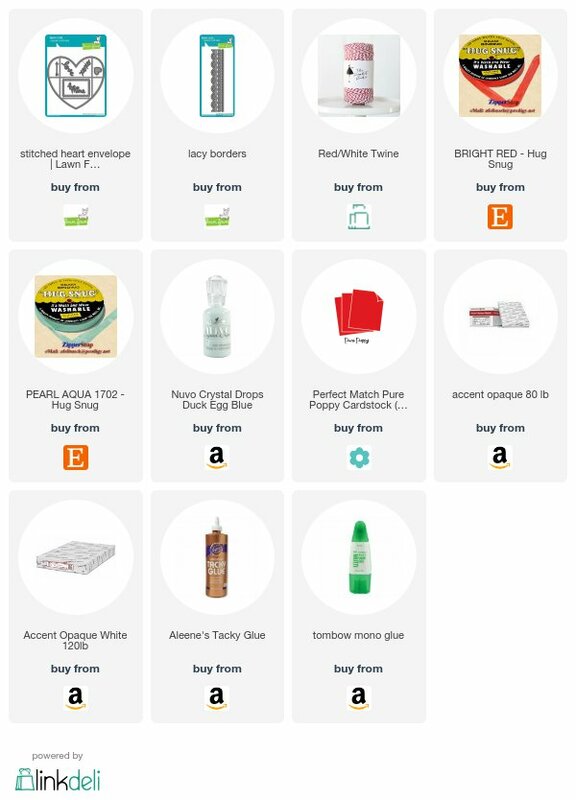 If you're still looking for a darling gift idea, I've got you covered! 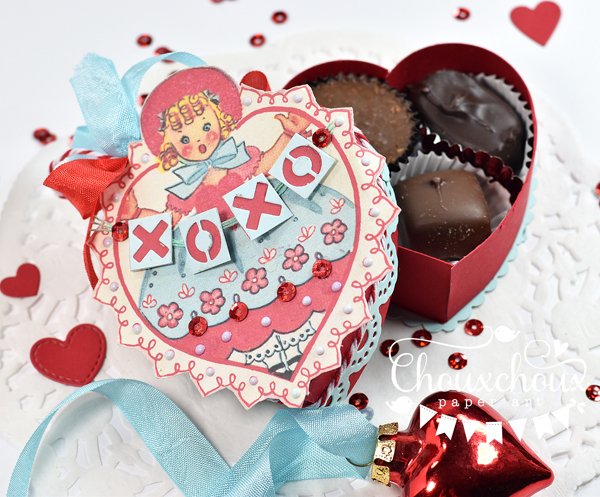 This heart box is super easy to make, the printable is super cute and I have a video to show just how easy it is. Included on the printable (and in the video) is a bonus project idea: a partial pop-up card. I believe this partial pop-up is the way she was originally meant to be. 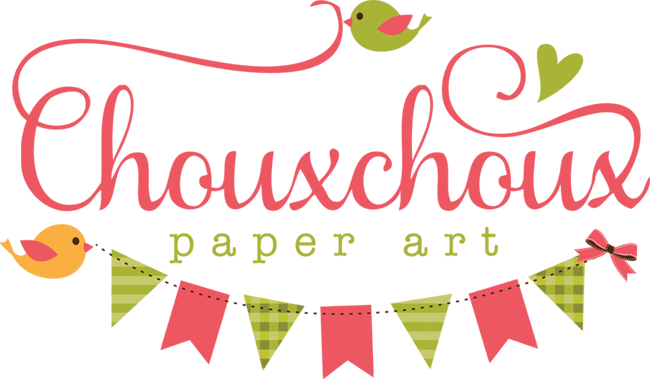 You could use it for a card or a place card for a valentine party or maybe a valentine cookie party. I show in the video the basics on putting this together. The download includes a back piece to make her more polished. Then I added a white scallop writing panel just to dress it up a little more. 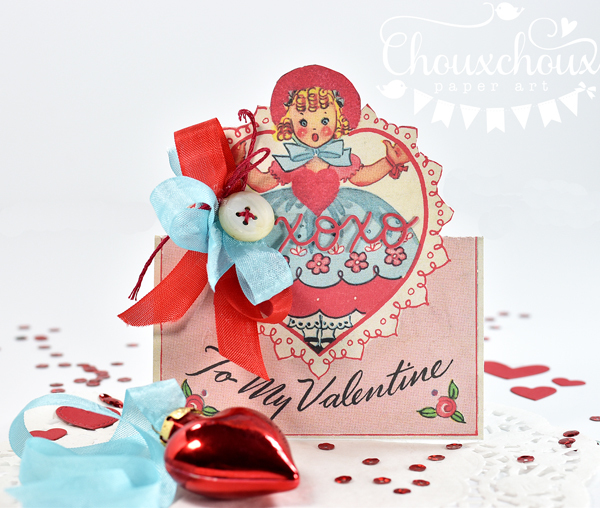 I thought this vintage image would also made a super cute heart box topper. The box is large enough to hold three chocolates. I like the way this heart box goes together. 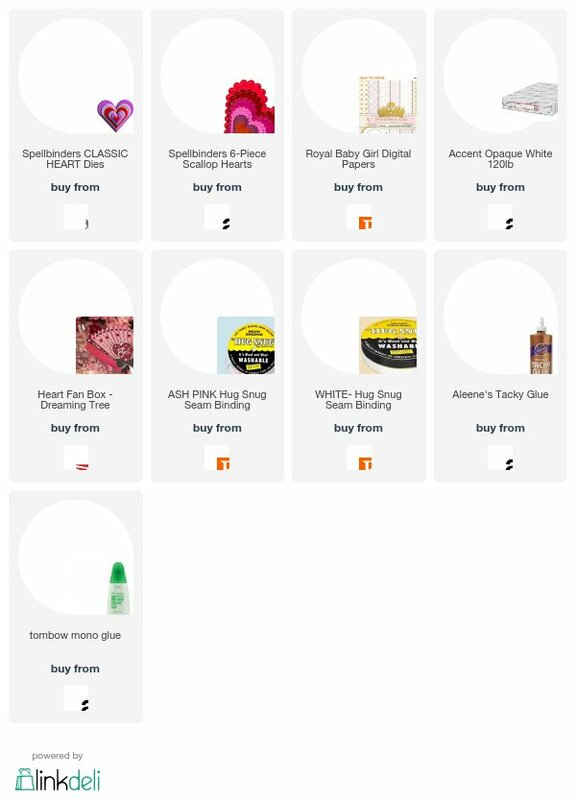 It works better for me than dealing with all the tabs that come along with most heart boxes. The video included all the tips. 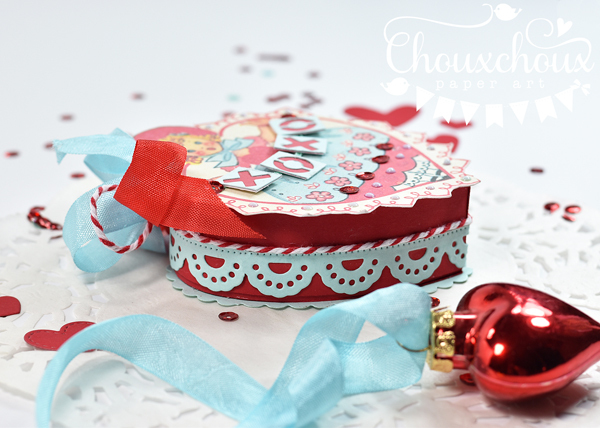 The download comes with a template for the top and bottom hearts for the box. 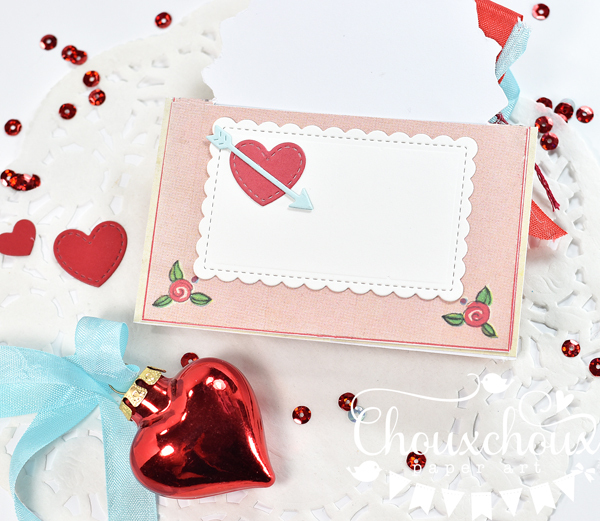 You don't have to use my heart templates to make a heart box this way. 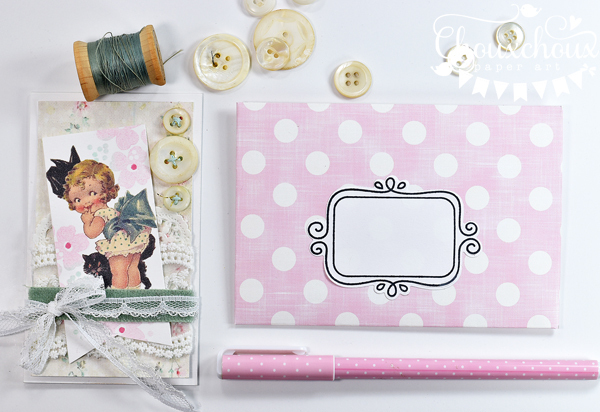 This method also works for heart dies or hearts that you have cut with your electronic cutter. 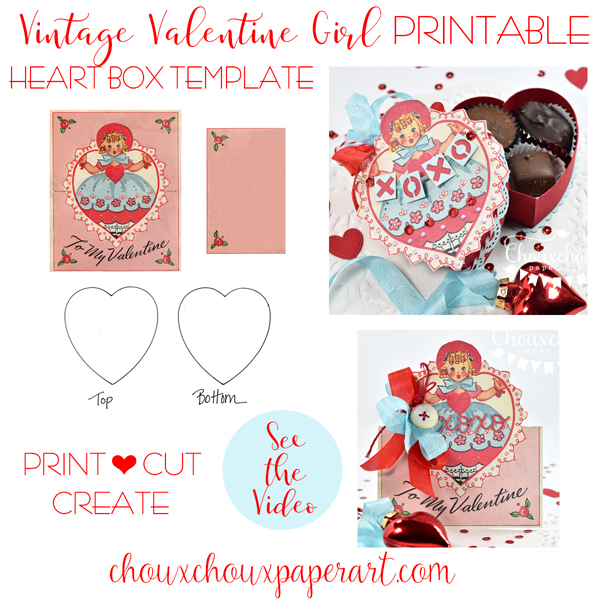 Download Valentine Girl with Heart Box Template HERE. 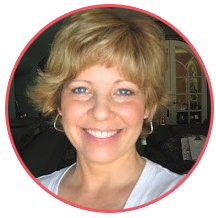 So glad you stopped by. Have a wonderful week!